There are so many different types of hair and so many different ways that you can care for them. 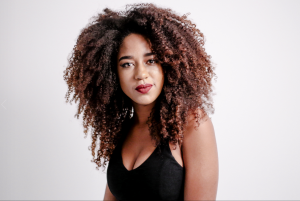 Curly hair can be difficult at times to maintain, but here are some steps from Leslie Ellen Curly Hair Salon NYC that will help you tame your mane. It is extremely important to get a trim every eight to ten weeks to dust off split ends. If you don’t trim off the ends they will just shred higher up and snap off. This will leave you with less growth. It is not necessary to shampoo your curly hair every day, but it is very important that you wet it down and condition it every day. If you don’t have a lot of time to spare while getting ready, you can use a spray bottle with an equal mixture of water and conditioner and mist your hair. To help your hair follicles lay flat, fully saturate your wet hair with a leave-in conditioner or curling cream. Section off your hair and finger comb in the product until the shaft feels smooth. Section off hair into sections, shake each section of your hair with your fingers as you put in the product saturated with product allowing the curls to separate and find their family. Repeat these steps for each section. After you have saturated your hair and separated out the curls, you can help out the sections that need some assistance by twisting the curl and scrunching gently. Then, allow your hair to air dry or under a hood dryer (you may also use diffuser). While drying your hair, do not touch it. Do Not Disturb The Curls! Allow curls to stay in natural pattern. Only scrunching while it’s wet. Once your hair is fully dried, slide your fingers into your hair, only at the root. With your fingers on your scalp gently shake out your hair. This will release and separate curls without disturbing curls. Do not run your fingers through your hair; this will only cause the curl pattern to frizz. Enjoy your curls! If you have any questions or need help with your curl care, then contact Leslie Ellen today!